Born and raised in La Crosse, Wisconsin, Pastor Lloyd Harter has been blessed to know Jesus his whole life. His relationship with Jesus was strengthened every week throughout his childhood by his parents’ desire to worship as often as possible with all their children. His relationship with Jesus was strengthened at every level of his education. His parents saw to a Christian education for all of their children at Immanuel Lutheran School in La Crosse, Wisconsin and Luther High School in Onalaska, Wisconsin. In addition, his parents supported him through his pastoral education at Martin Luther College and Wisconsin Lutheran Seminary. The fourth oldest of nine children, Lloyd passed the time growing up by taking piano lessons since the age of seven, martial arts instruction since the age of eight, and organ instruction since the age of 10. Pastor Harter has been blessed to study organ with many gifted instructors, the most influential of which include Betty Mittlestaedt (former organist at Mt. Calvary Lutheran Church in La Crosse, WI), Patricia Lundeen (former organist of Central Lutheran Church in Winona, MN), Dr. Wayne Wagner (former organ department chair at Martin Luther College), and Dr. John Behnke (former professor of music at Concordia University-Wisconsin). Pastor Harter’s undergraduate and graduate education have prepared him for a lifetime of serving Jesus. He enrolled at Martin Luther College in the fall of 2006, and though he was accepted into Oberlin Conservatory of Music in the spring of 2007 to study organ performance, he chose to remain at Martin Luther College where he double-majored in parish music and pre-seminary studies. In 2010, he began classes at Concordia University-Wisconsin for the Master of Church Music degree, graduating this last spring. 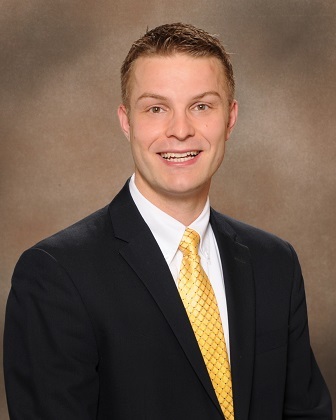 At the same time, he began his study at Wisconsin Lutheran Seminary in the fall of 2011, also graduating this last spring and accepting his assignment of a Divine Call to serve at Faith Lutheran Church of Antioch. Love for reaching people with Jesus was cultivated during his vicar year (year of pastoral internship) at Abiding Grace Lutheran Church in Covington, Georgia during the third year of his seminary education. His love for parish music was cultivated and refined by his undergraduate parish internship at St. Martin’s Lutheran Church in Watertown, South Dakota, and by his graduate music internship at Grace Lutheran Church in Milwaukee, Wisconsin. Pastor Harter enjoys just about anything, but he especially enjoys cooking, baking, weightlifting, running, biking, swimming, fishing, martial arts, every form of music, national parks, state parks, canoeing, hiking, motorcycles, ballroom dancing, time with friends, family, brothers and sisters in Jesus, devotional time with Jesus, and as much time as possible with his lovable dog Paisley. If you are new to the family of believers at Faith Lutheran, please take time to let Pastor Harter know a little bit about yourself; he’d love to help you see the difference Jesus can make in your life. If you have been a member of the Faith family, please take some time to let Pastor Harter know the difference Jesus has made in your life. Pastor Harter comes from a strong Christian family who have known Jesus as their Savior for many generations, and he hopes that in getting to know him, you will see the “faith of our fathers living still.” He hopes you will also see the best qualities of his grandparents and parents, but most of all, he hopes that you will know and see Jesus.